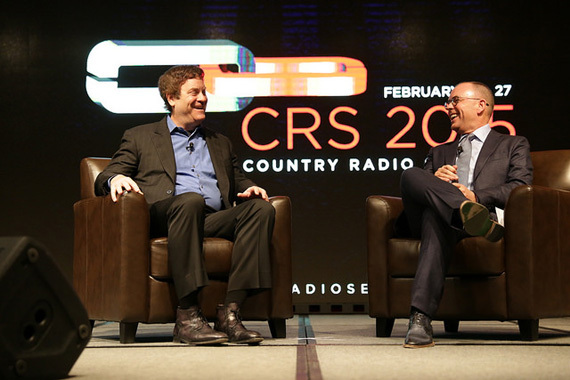 Keynote Speaker Todd Wagner (left), interviewed by Charlie Morgan, CRS Board President (right) during opening ceremonies of 2015′s Country Radio Seminar. Entrepreneur and philanthropist Todd Wagner served as keynote speaker yesterday (Feb. 25) at the Nashville Convention Center during the opening ceremonies of 2015’s Country Radio Seminar. Wagner talked about what it means to be an entrepreneur and stated, “You have to be pretty thick skinned and hold on to what you believe.” Further defining what makes someone an entrepreneur, he shared three important traits. 1. It can happen anywhere. 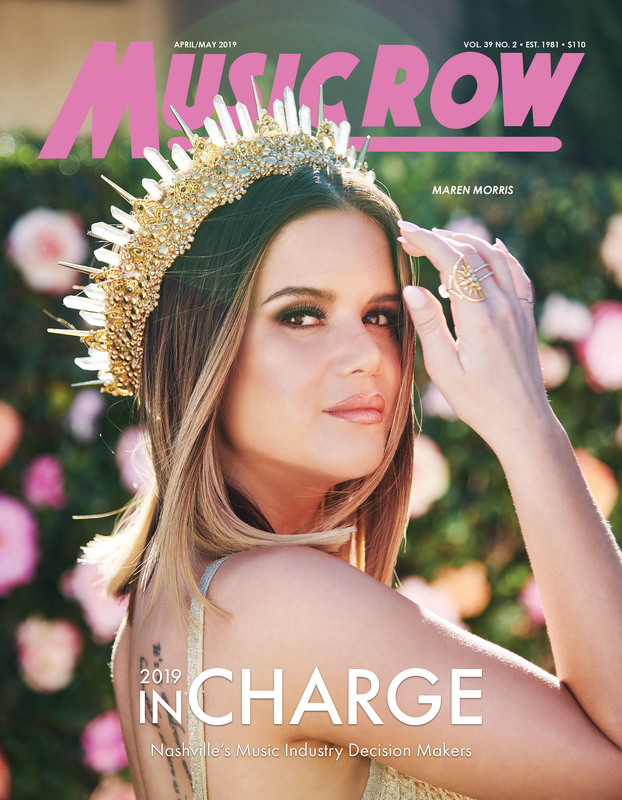 Many people think being an entrepreneur requires locating in a hot spot such a Silicon Valley, but Wagner points out a true entrepreneur is not dependent on any specific location. 2. Are you willing to quit your day job? Wagner states you must put everything at risk to be a real entrepreneur. With all of his success and the realization that he no longer had to work, Wagner admits it’s important to him to give back. Wagner helped launch Chideo in January 2014 as the first interactive charity broadcast network. Chideo is a place where fans can discover and inspire one-of-a-kind content and experiences from their favorite personalities. Wagner’s business interests also include a stake in the Dallas Mavericks, as well as the Weinstein Company. Additionally, he is a founder and co-chairman of Content Partners LLC.